As LCD TVs and digital signage display solutions have dropped in price, there are those who ask: Is projection still relevant today? To those people, we reply with an emphatic 'Yes!'. With new advancements in projection technology, there has never been a better time to look at large screen projection for your home or business. In this article, we'll be focusing on what used to be a tough battle for projector enthusiasts to fight - the dreaded ambient light issue. Video projection has come a long way from the eight foot wide tri-color (CRT) lamp monstrosities that was projection tv back in the mid-to-late 1980s, or the carousel-wheel slide show projectors Let’s not even talk about the overhead projectors that everyone loved so much in school. In fact, it wasn't until the mid 1990's that video projection really became a viable way to produce quality images for presentations and business meetings. 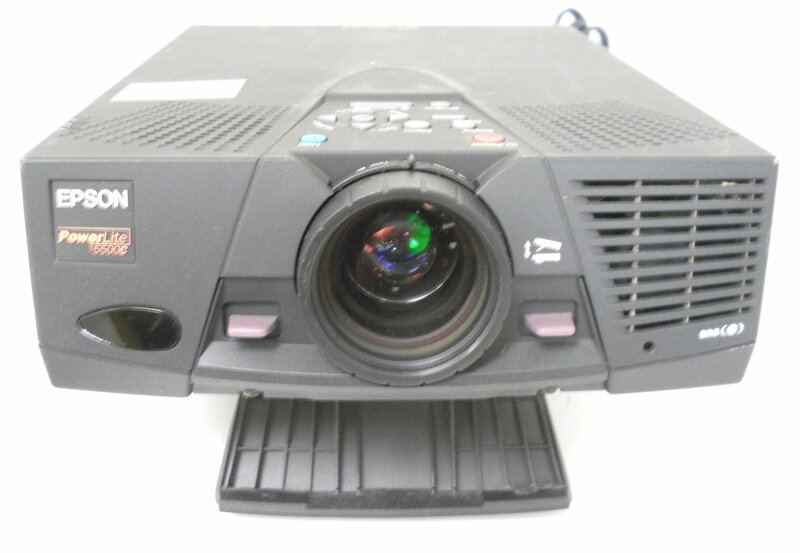 When we first started selling projectors online in 1999, the first projector we sold was a 650-lumen Epson Powerlite 5500C. Price: ONLY $5,999. Today, a top-of-the-line home cinema projector running with four times the lumen output is about ⅓ of that price. Now, just about anyone can afford a decent home theater projector that would have literally blown people’s minds just 20 years ago. While things have certainly improved a great deal, there are still challenges when considering projection for your environment, be it your home, office, house of worship, or restaurant. Front and center of those challenges is ambient light; the mortal enemy of front projection. At least, it USED to be. With advancements in projection and lamp technology, we have seen a steady incline in lumen output over the past few years. The top selling mid to large venue projectors today start at 5,000-6,000 lumens, and work their way up from there. In heavy-use situations where constant high lumen output is required, a dual-lamp projector or stackable projection solution is a great choice. These setups also have the added benefit of being able to switch lamps back and forth in settings where ambient light control is possible, thus reducing maintenance times and leading to longer lamp life. Check out our selection of top rated high lumen projectors. Laser projection has really come into its own in recent years, with Sony and NEC leading the way and many other manufacturers with laser projection in the works. There are several advantages to laser projection, not the least of which being its extremely long life span. Most laser projectors sold today have an estimated 20,000 hours of life (that’s 8 hours a day, everyday, for nearly 7 years worth of value!) The other advantage of laser projection is that it maintains a more consistent lumen output over time vs a traditional lamp-powered projector. There are a few things you need to think about when you absolutely need a bright image. In the first case, we could be talking about a living room setting with lots of windows or a conference room with no control over the lighting. If that’s the situation you’re in, don’t sweat it - there are some very good solutions that just might work for you. Solution One: Think about the surface you’re projecting onto. Screen Innovations took home theater projection out of the proverbial ‘man-cave’ years ago with their revolutionary ambient-light rejection screen, known as the Black Diamond. Images projected onto these beautiful screens are as sharp and rich as almost any flat panel TV today, only much, much larger. Solution Two: consider short throw or ultra-short throw projectors. At first glance, you may think - well these are only around 3,000 lumens, that’s nowhere near bright enough. But lumen output and distance to the screen are inversely related. The closer to the projected surface you are, the brighter the actual image will be. These short throw projectors are made to cast big screen images from very short distances, though they may require a special short throw projector mount and sometimes have very tight throw ranges. Have questions about your light-sensitive situation? Give us a call at 1-800-639-3010 or chat with one of our projector experts online today. We’d love to help you out!